Yesterday was a big day in Sweden as Princess Madeleine, the younger sister of Crown Princess Victoria, married US financier Christopher O’Neill. 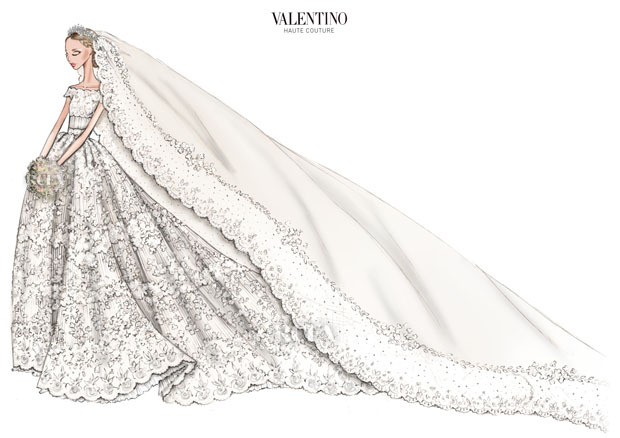 Her stunning dress was designed by Valentino who came out of retirement to create the gown. Made from silk organdies with applications of ivory Chantilly lace, the dress featured a full skirt trailed by a statement-making 4-meter long train. Over 400 guests attended the wedding in Stockholm with Prince Edward and Sophie, Countess of Wessex, representing the UK’s Royal family. The 30-year-old princess has been based in New York since 2010 and the newlyweds were expected to return to the US this week.